With various forms of businesses shifting towards the web, why should pharmacies be left behind? Many times people are unable to buy prescription drugs from their local chemist. Either it is not in stock or they feel embarrassed to ask the chemist for medicines. People find multiple reasons to turn to their favorite online Indian pharmacy. It makes perfect sense to attempt to save money in any way possible even when it comes to purchasing medications. So, how to buy medicines from the best online pharmacy? Here are some crucial tips to keep in mind before buying the drugs. What is an online pharmacy and how does it function? An online pharmacy is an internet based vendor of prescription and OTC drugs. They sell drugs cheaper because they can serve a large clientele from one central location and cut the cost of launching a chain of local pharmacies. So in a way, online drugstores offer a convenient way to obtain prescription medicines and are frequently used by health insurers. A surprising fact is that the U.S. FDA does not regulate drug prices, but most countries do. It could be a possible reason foreign pharmacies sell drugs at a cheaper price making the potential for savings immense. Purchasing drugs from an online Indian pharmacy would be an ideal choice. Buying prescription medicines online and over-the-counter drugs on the Internet from an online pharmacy store you do not know means you may not know exactly what you are getting. There are many websites that operate legally and offer convenience, privacy, and safeguards for purchasing the medicines. But there are many “rogue websites” that offer to sell potentially dangerous drugs that have not been checked for effectiveness or safety. Though a rogue site may look legitimate and professional, it could be an illegal operation. Unethical or illegal pharmacies sometimes send outdated, substituted, or counterfeit medications. Many times an online pharmacy may not be located in the country that is actually claimed. Children or minors buy medicine online without adult supervision. Other concerns include improper packaging, potential lack of confidentiality, inability to check for drug interactions, and several other issues. Many online pharmacies websites in India are mainly controlled by organized and underworld criminal networks. Today, most online chemist stores are legal and legitimate while some are not. Illegitimacy means no one is monitoring the particular online medicinal portal to ensure if it complies with the laws and regulations It is crucial to beware of fraudulent ones. These chemists may just send an incorrect or generic dosage when your doctor has prescribed a brand name. At times, the package label is incomplete or missing. Consequently, if you wish to consume a drug, you are perplexed about the instructions or directions of use. The FDA is trying its level best to protect consumers by regulating consumable products. It does not encourage people to purchase medicines from other countries because their safety cannot be confirmed. As medicines are related to an individual’s health, no compromise should be made on the quality. No law explicitly forbids importing prescription medications from other countries as long as they are controlled, and the purchase has been done with the approval of a licensed physician. When you buy medicines from an online pharmacy, verify it’s authenticity. It is apparent that the FDA discourages buying drugs from other countries, but certain laws are still unclear. Drugs such as painkillers, sedatives, stimulants have to be sold with a prescription by a licensed doctor. Individual fraudulent online chemists offer these medications without demanding doctor’s prescription. Such an act falls under illegal activities, and the act should be banned. If you plan on importing drugs, as a patient, you must provide the physician’s contact information to the authorities at the custom. The National Association of Boards of Pharmacy (NABP) is an impartial professional organization that promotes state pharmacy boards and is recognized by the FDA as the leading pharmacy authority. Any online pharmacy that has been certified by the NABP is a legal place from where one has purchased. How is a Canadian pharmacy different? The standards and practices of Canadian pharmacies are similar to those of the US. Legitimate Canadian stores allow U.S. patients to order drugs online and verify prescriptions. They don’t require a separate Canadian prescription. However, numerous online chemists that are Canadian are operating out of other countries. What measures can one take in choosing a reputable online Indian pharmacy? How to buy medicines from an online pharmacy? Such questions can be answered only through research. According to a comprehensive study, it was found that 10% of the drug samples were not what people had ordered. India is among the most popular countries to purchase drugs as many prescriptions drugs can be bought from here at a fraction of the cost. 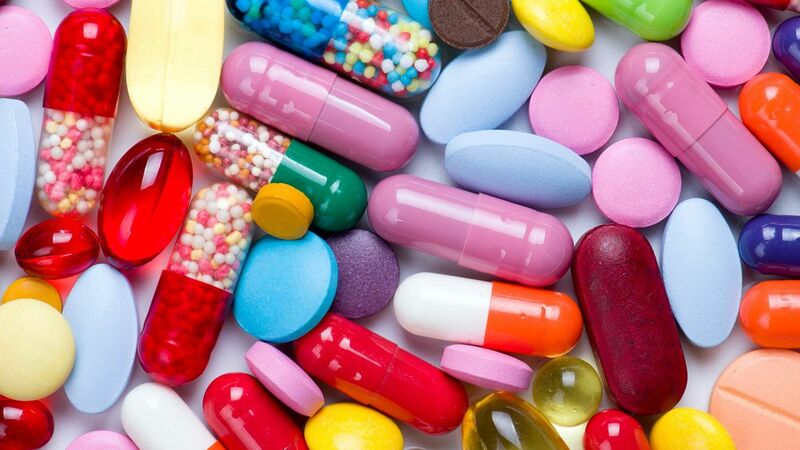 These are the drugs that account for most international prescription purchases including antibiotics, acne creams, and blood pressure medications. How to buy medicines from an online pharmacy without falling into legal trouble? Ensure that they follow stringent safety and quality standards. Avoid buying from sites that sell drugs without a legal prescription. Check the privacy and security policies. Make sure they are easy to understand. Illegal pharmacies often sell your personal information. Verify of the online pharmacy has a physical address and a phone number. If possible, call the phone number and ask for the pharmacist’s license information. PremiumRxDrugs is an online Indian pharmacy, which is an expert when it comes to balancing quality and keeping the cost modest. They offer generic drugs that are designed to conform to the world-class standards of manufacturing and quality control. A prescription from a licensed doctor will be essential for purchasing medications from here. You can always buy drugs from a renowned and licensed online Indian pharmacy. PremiumRx drugs is one of the few pharmacies that provide genuine and high quality medications. You can verify from various sources before placing an order for prescribed drugs. It’s no surprise: Americans spend more than $300 billion a year on prescription drugs. It makes sense to try and save money in any way possible, including navigating the myriad online vendors that promise to sell your drugs for a fraction of the prices you’re currently paying. However, with all the media buzz and online options, it can be hard to know how to proceed starting with who you can trust. Simply put, an online pharmacy is an Internet-based vendor of prescription drugs, and the term encompasses both legitimate and illegitimate pharmacies. Online pharmacies can sell drugs cheaper than drugstores because they can serve a large clientele from one central location and cut out the cost of a network of local pharmacies. Because drug costs are so high in the U.S., many people seek to save money by purchasing drugs online, but there are thousands of options. Many of these online pharmacies are legal and legitimate, but most are not. Illegitimacy means that nobody is keeping the pharmacy in check to ensure it complies with laws and regulations, not to mention sending the correct product. These pharmacies are considered to be fraudulent, and most of them are based in other countries or claim to be. Fraudulent pharmacies are well-known and so are their dangers. Some might just send you a non-U.S. version of your drug, an incorrect dosage or a generic when your doctor has prescribed a brand name. Other times, labeling is incomplete or missing, so if you order more than one drug you may not know which is which or how to take it and what foods to avoid. In some cases, you might get a completely different drug than you were originally prescribed, or a sugar pill with no active ingredients at all. The role of the FDA is to protect consumers by regulating consumable products. No law explicitly forbids importing prescription drugs from other countries, so long as they are not controlled substances and the purchase is done with the knowledge and approval of a licensed physician. Even so, the FDA recommends against buying drugs from other countries because their safety can’t be confirmed and because consumers who have adverse reactions have no recourse against the manufacturer. We know the FDA strongly discourages buying drugs from other countries, but specific laws on the subject are not always clear. It is definitely legal to purchase drugs through a U.S.-based online pharmacy that has been certified by the National Association of Boards of Pharmacy (NABP). The NABP is an impartial professional organization that supports state pharmacy boards and is recognizd by the FDA as the leading pharmacy authority. Canadian pharmacy practices and standards are similar to those of the U.S., and many Canadian pharmacies follow U.S. and Canadian rules when selling to U.S. customers. Legitimate Canadian pharmacies allow U.S. patients to order drugs online and verify prescriptions and don’t require a separate Canadian prescription. They also will not sell controlled substances to U.S. patients. Two major studies have been done to assess online pharmacies. The most recent was conducted by NABP in September 2013, which found that 96.7 percent of online pharmacies selling to U.S. citizens were “rogue,” meaning they did not comply with U.S. laws and regulations. The report covered 10,642 pharmacies, and only 90 were found to be legitimate, with another 258 classified as potentially legitimate. The allure of purchasing drugs cheaply from other countries may be strong, but the regulation of drug manufacturing and e-commerce in these countries is lax compared with the U.S. and Canada. Among the most popular countries to purchase drugs from are Mexico and India, since many prescriptions can be purchased at a fraction of the cost. Many drugs that require a prescription in the U.S. to purchase can be bought over-the-counter from Mexico and aren’t considered controlled in either country. These are the drugs that account for most international prescription purchases­ antibiotics, acne creams and blood pressure medications. The FDA estimates that up to 40 percent of Mexican pharmaceuticals are counterfeit, and it strongly cautions against their use. To be sure pharmacies follow stringent safety and quality standards, look for NABP-certified or CIPA-certified pharmacies. Even if the website says a pharmacy is certified, you should cross-check against the NABP and CIPA websites, or start from there. Don’t buy from sites that sell drugs without a prescription or ones that offer to prescribe the drug for you without seeing a doctor. Check the privacy and security policies they should be easy to read and understand. Illegal pharmacies will often sell your personal information. Make sure the site has a physical address listed and a phone number you can call to talk to a pharmacist. Do call the phone number and ask for the pharmacist’s license information. U.S.-based pharmacy licenses can be verified online. The NABP has a listing of recommended sites. The NABP’s not recommended sites. If you’re looking into Canadian pharmacies, verify CIPA certification. To find a CIPA recommended site. Lacie Glover writes for NerdWallet Health, a website that empowers consumers to find high quality, affordable health care and insurance.